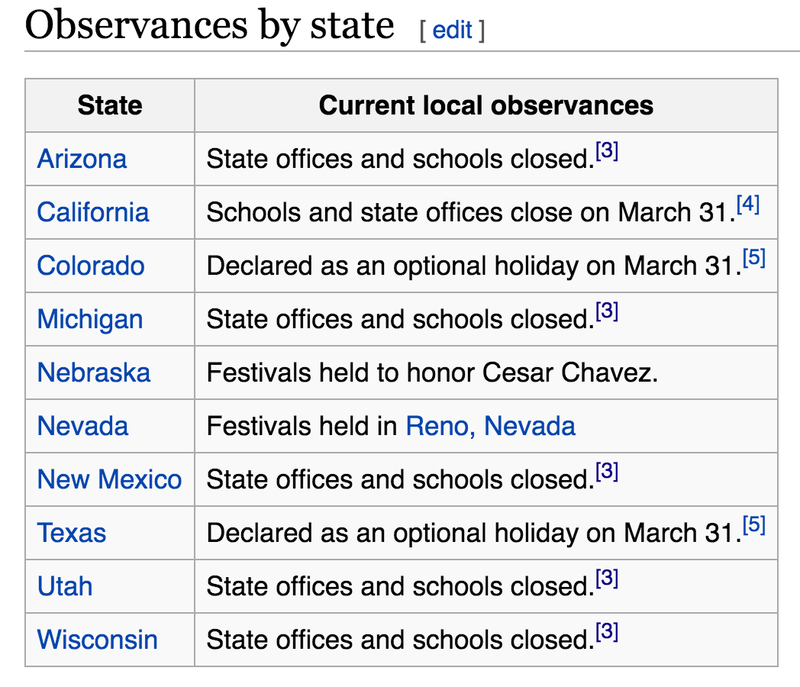 Wisconsin does not officially observe Cesar Chavez day. 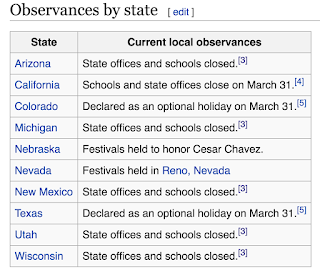 State offices and schools are not closed. Okay, thank you. I will correct that. Darn Wikipedia! I love the unit on Cesar Chavez! The unit is Cesar Chavez is wonderful. I have one small question; on the vocabulary sheet you give the students, some words have an *asterisk and I am wondering why? And, funny you ask, I have no idea why some have asterisks! I can't remember!